Renowned, award-winning screenwriters, including John Lee Hancock, Peter Hedges, Lawrence Kasdan, Whit Stillman, Robin Swicord, and Randall Wallace, discuss their craft from concept to completion in these lively conversations transcribed from the acclaimed PBS series On Story . Austin Film Festival (AFF) is the first organization of its kind to focus on the writer’s creative contribution to film. Its annual Film Festival and Conference offers screenings, panels, workshops, and roundtable discussions that help new writers and filmmakers connect with mentors and gain advice and insight from masters, as well as refreshing veterans with new ideas. To extend the Festival’s reach, AFF produces On Story , a television series currently airing on PBS-affiliated stations and streaming online that presents footage of high-caliber artists talking candidly and provocatively about the art and craft of screenwriting and filmmaking, often using examples from their own films. 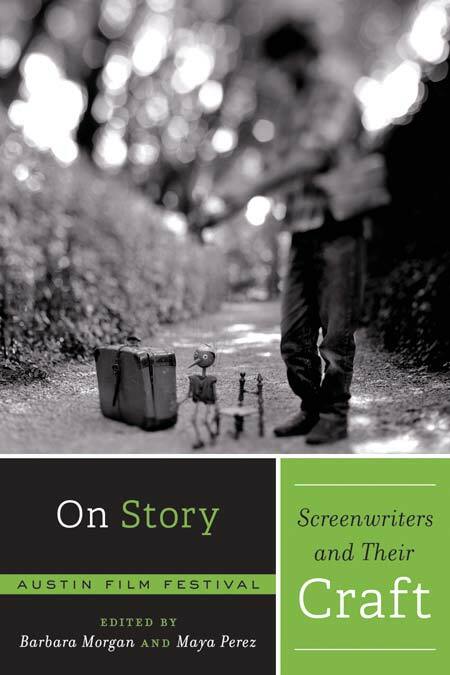 This book distills the advice of renowned, award-winning screenwriters who have appeared on On Story , including John Lee Hancock, Peter Hedges, Lawrence Kasdan, Whit Stillman, Robin Swicord, and Randall Wallace. In their own lively words and stories transcribed from interviews and panel discussions, they cover the entire development of a screenplay, from inspiration, story, process, structure, characters, and dialogue to rewriting and collaboration. Their advice is fresh, practical, and proven—these writers know how to tell a story on screen. Enjoy this collection of ideas and use it to jumpstart your own screenwriting career. Barbara Morgan cofounded Austin Film Festival in 1993 and has served as Executive Director since its inception. A feature filmmaker and producer, she also developed and produces the TV series On Story: Presented by Austin Film Festival. Maya Perez is a producer/consultant for On Story: Presented by Austin Film Festival and a board member of the Austin Film Festival, for which she has also served as Conference Director. She is a Michener Fellow in Screenwriting at the University of Texas at Austin until 2015.